POKKA has confirmed it would not be renewing its endorsement contract with local actress and host Vivian Lai which was in effect for three years, and has since concluded. In a statement, the organisation said the change was being made as part of its “on-going marketing strategy”. When asked about said strategy, the company was unable to provide more details. A quick check by Marketing has also found marketing collaterals featuring Lai on POKKA’s social media pages to have been replaced. “Pokka would like to thank Vivian Lai for her contribution to the company,” Rieko Shofu, acting CEO of POKKA International, added. “I thank POKKA for the opportunity to endorse the brand and wish the company every success,” Lai said. Karen Yew, head, corporate marketing and communications, Mediacorp, where Lai is an artist, added that the company continues to provide POKKA with solutions to “promote its brand and extensive range of iconic, well-loved products in Singapore”. The move, which ends the company’s near decade-long partnership with Lai, follows weeks after an internal management audit the company was undergoing. This also saw the exit of Alain Ong, CEO of Pokka International and Lai’s husband, whose duties were taken over by Shofu. 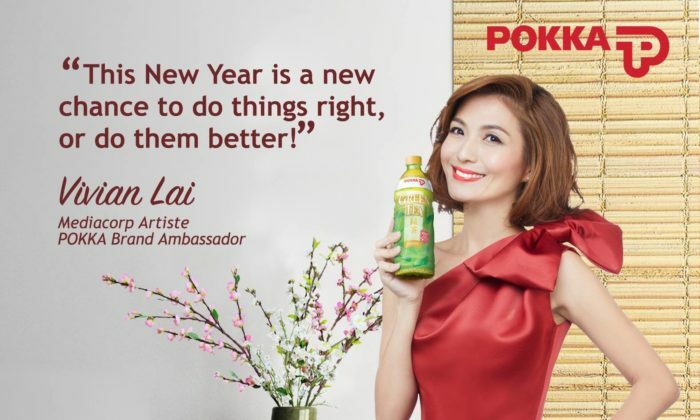 The incident then saw Lai, who is the face of the POKKA brand, also coming into the spotlight following multiple reports which unveiled she was reportedly paid SG$1 million in 2012 to continue representing the brand. According to Shin Min Daily News (SMDN), which first reported the news, the amount exceeded what was generally paid to Mediacorp artists. This reported was later refuted by Mediacorp which called the reports about Lai’s endorsement fees “speculative”, and said it “does not comment on speculation”. The statement also came shortly after Mediacorp said to Marketing late last month that the contract between Lai and POKKA remained unchanged at the time of the audit. Singapore Press Holdings is investing in new capabilities such as digital, data analytics, radio, video and content marketing. ..